There are concerns that the tranquility and peace of Stone Farm Rocks could be jeopardised. An application has been made by the owner of Kingscote Vineyard, Mill Place Farm for a new premises licence to include alcohol and live music. Kingscote Vineyard is situated just 750 metres from Stone Farm Rocks which is owned by the BMC and is also a site of Special Scientific Interest. It is feared that large events could lead to noise pollution in the tranquil area and increased numbers of people passing Stone Farm. An alcohol and entertainment licence for Kingscote Vineyard and surrounding land for corporate events for up to 5000 people has been made to Mid Sussex District Council. The licence if accepted would cover the land below the rocks and it is possible that marquees could be erected there for events. A barn has been built to accommodate large events and this would be the main area for music, but it is uncertain if the marquees would have any loud music playing. 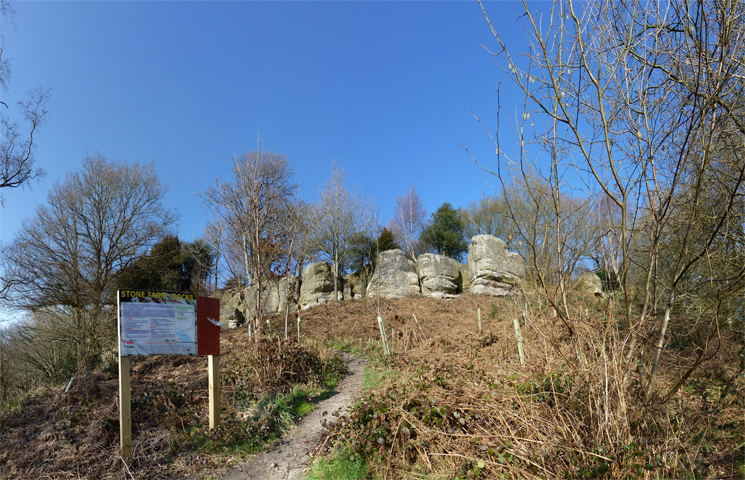 The bridleway entrance to the rocks has also been widened and re-surfaced by the owner of Kingscote Vineyard which could be used for access for events such as corporate events, live music bands and a possible shooting range if the application were to be accepted. It is thought that the noise from midday until midnight could carry across the valley to the Stone Farm Rocks and then down the valley to Blacklands campsite and even down to the reservoir. Nearby is also the Blacklands Girl Guide campsite. The licence application covers areas that are adjacent to the camping site and land owned by the Blacklands Girl Guides. The BMC will be submitting a representation that asks that music is only played in the Barn and never in Marquees. The application is available to view at Mid Sussex District Council, Oaklands, Oaklands Road, Haywards Heath, West Sussex, RH16 1SS. The application may be viewed at the Main Reception during normal office hours and at http://www.midsussex.gov.uk – search for ‘Planning Applications Received’. It must contain your name and address and must be sent before the 26th August 2013. There has been a response by the licensing office on the Mill Place Farm application. The licensed area is to be restricted to the barn and shop areas. Windows and doors must be closed by 10pm. Marquees will not be able to provide entertainment or the sale of alcohol under this application. Therefore this application should not affect Stone Farm.